James Bond, with his iconic “license to kill,” has never been a stranger to death. And in Spectre, the latest adventure of the world’s most famous secret agent, the prospect of mortality looms especially large. “The dead are alive,” a cryptic sentence, is the very first thing you see on the screen, just before the face of a gigantic skeleton in a Day of the Dead parade. 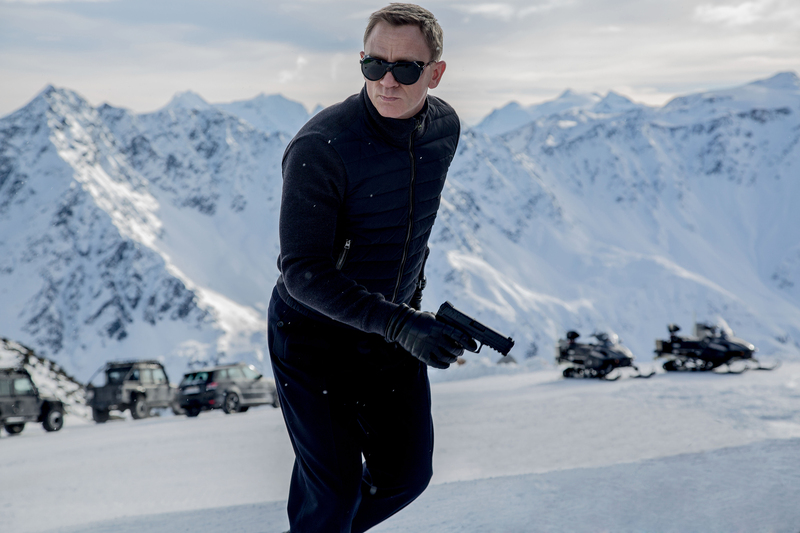 But as Bond (Daniel Craig) notes at one point, “Death and dying—it’s all a matter of perspective.” Spectre, the 24th movie since Dr. No began the Bond franchise in 1962, may reflect on the past and even gaze into the grave, but it’s vibrantly, expressively, emotionally alive and very much in step with today. Reuniting Craig with director Sam Mendes—his partner in the snap, crackle and pop of Skyfall in 2012—it begins with Bond going off the grid to wrap up some unfinished business just as the “double-O” espionage program headed by his boss, M (Ralph Fiennes), is in danger of being scrapped back in London. A crusading young British intelligence officer, C (Andrew Scott, Moriarty on TV’s Sherlock), wants to replace Bond and his “prehistoric” stalk-and-shoot derring-do with a new multi-national initiative, using global surveillance and drones to keep track of criminals—as well as everyone else. M smells a big, worldwide rat, and so does Bond—and off he goes to track it down, to Mexico, Rome, Austria and the desert of North Africa, setting up some thrilling set pieces that up the ante on cinematic Bond moments. A dazzling 15-minute beaut of an opener begins as one ludicrously long, unbroken tracking shot (filmed by a drone!) down a street and into an alley, up and out of an elevator, into a hotel room, through a window and onto a rooftop—before climaxing in a building-toppling explosion, a frantic foot chase and a brutal hand-to-hand fight in an out-of-control helicopter dipping and diving over a crowded plaza filled with thousands of people. There’s a sleek nighttime car chase, an alpine pursuit with an airplane that becomes both a bobsled and a battering ram, and a brawl in a train so slam-bang intense you expect it to cause a derailment. 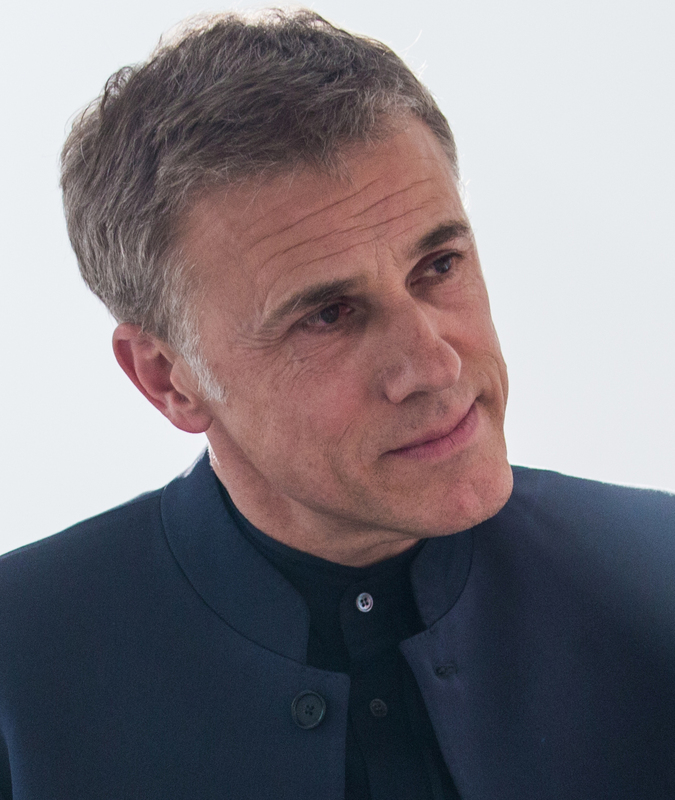 Christoph Waltz plays a nefarious über-villain with a deep-rooted evil secret that haunts—and hurts—Bond in more ways that one. Former pro wrestler Dave Bautista (so memorable as the red-tattooed Drax in Guardians of the Galaxy) is a hulking wall of sneering, leering bad news—and only one teeny, tiny two-word line of dialogue. As the latest “Bond girl,” French actress Lèa Seydoux gives Bond pause for something “more important” than the sometime-vicious necessities of his job. Ben Whitslaw returns as nerdy gadget master Q, and Naomie Harris is back as Moneypenny, the office assistant who’s now become an invaluable assignment aide. 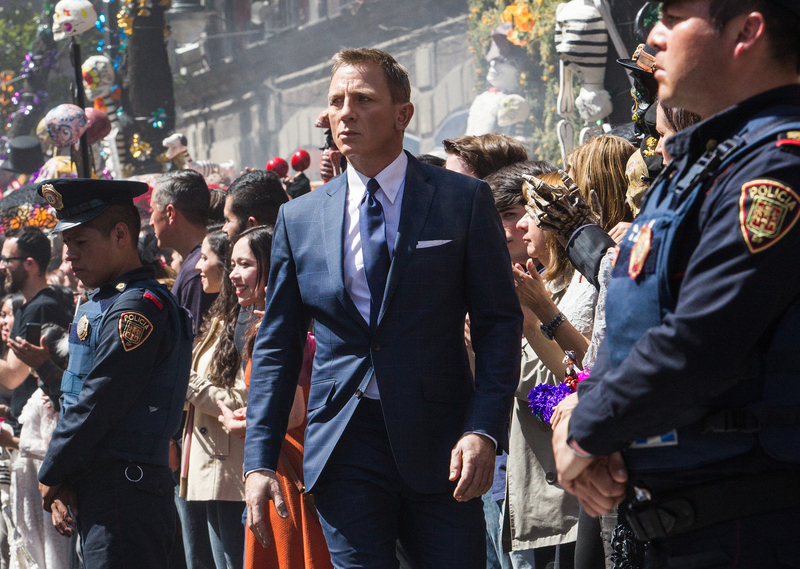 Will this, Craig’s fourth outing as James Bond, be his last, as rumored? Time will tell. Other spies come and go, but Bond—whoever portrays him—has been the standard for more than 50 years, and Spectre finds him in fine, full, clever, super-stylish, ultra-cool, death-dodging form, very much alive and well. “It’s good to have you back, 007,” M tells him at one point, welcoming him home. Yes, it bloody well double-O is!